Photo courtesy of Joseph Hubert Photography. 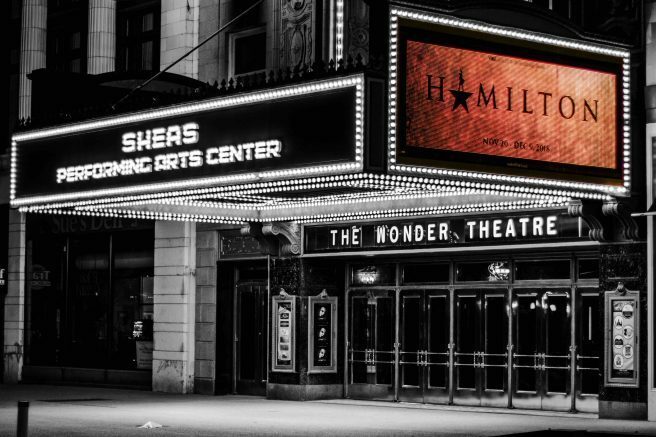 The West Seneca Chamber of Commerce and the GEICO Local Office in West Seneca are teaming up to give one lucky winner a pair of tickets to see Hamilton, the hottest show to hit Western New York in years! The Orchestra tickets are to the 2 p.m. matinee at Shea’s Performing Arts Center in downtown Buffalo on Saturday, Dec. 1. • A new, unwrapped Lego toy for Sebastian’s Lego Club at John R. Oishei Children’s Hospital. • A grocery bag filled with nonperishable food items to be donated to local food banks. • A bag filled with unopened dog or cat food and/or dog and cat treats and new toys to be donated to local animal shelters. For each donation, the donor will receive one ticket into the raffle for the pair of Hamilton tickets. Donations will be accepted at the GEICO Local Office or the West Seneca Chamber of Commerce through noon Tuesday, Nov. 27. The drawing will take place at 1 p.m. Nov. 27 at the GEICO office, and the winner will be notified by phone. For more information on GEICO’s Local Office in West Seneca, please visit their Southgate Plaza location or call (716) 604-0345. And for more information on the West Seneca Chamber of Commerce, please visit www.westseneca.org. Be the first to comment on "West Seneca Chamber of Commerce, GEICO West Seneca to give away Hamilton tickets"